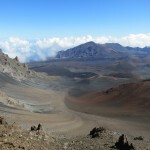 Hawaii and its islands are a well-known golf destination. 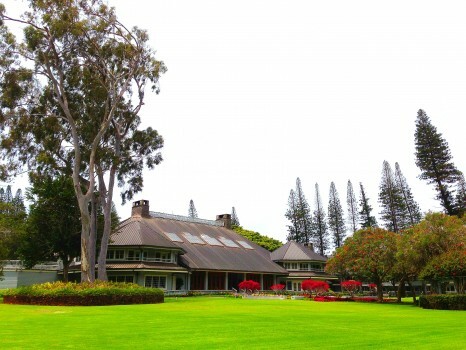 Lanai is probably the least known island for golf. 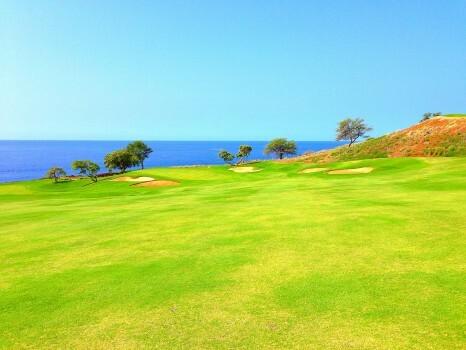 However, there are a few courses to play golf in Lanai and taken it from me, they are pretty good! 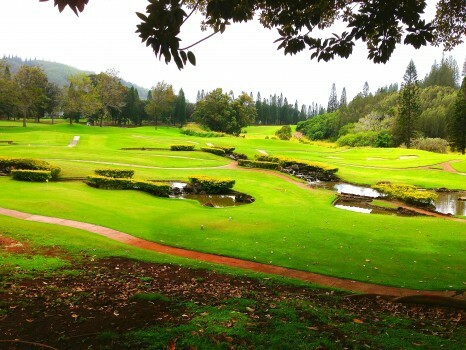 Where to play golf in Lanai basically comes down to two choices. 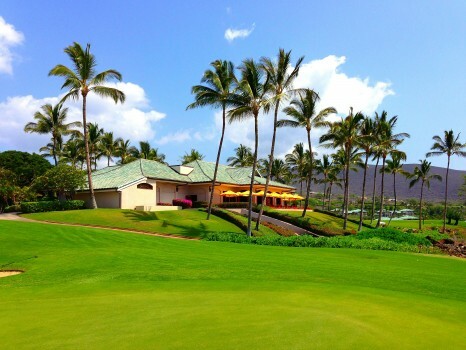 Do you prefer a beach course or a mountain style course and at which Four Seasons Lanai? 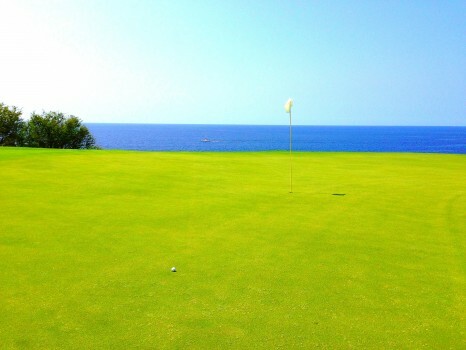 Either way, golf in Lanai is worth the trip. I cannot tell a lie, my favorite place to play golf in Lanai is the Challenge at Manele Bay at the Four Seasons Resort at Manele Bay. This course is absolutely phenomenal. 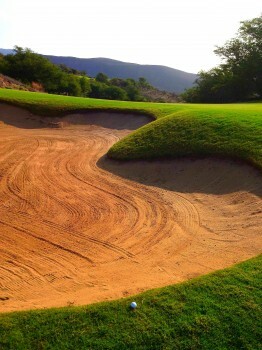 It definitely rivals the Wailea Gold Course on Maui It is scenic beyond words and very well manicured and kept. It is also a challenge as the title suggests. I can also brag that I played pretty well, I shot an 85. Not my best but it was the first time I’d played in a few months so I was pretty pumped. 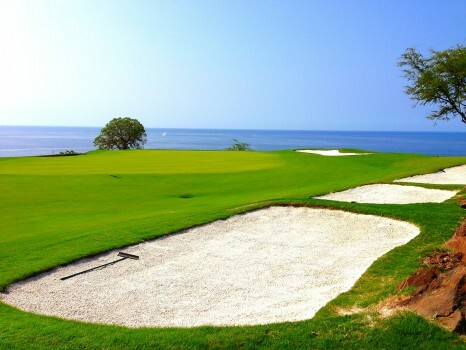 As you can see from the pictures the course is spectacular. However, I couldn’t get past the fact that Bill Gates, yes that Bill Gates, got married on the 12th hole green. 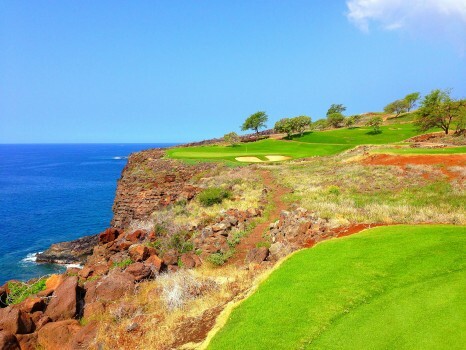 The 12th hole is the signature hole at Manele Bay and absolutely stunning. The rest of the course is almost as beautiful and can be much tougher. The views don’t stop though and even when you shank a few, you’ll still be pretty happy just looking around! The other course is the Experience at Koele at the Four Seasons Lodge at Koele. 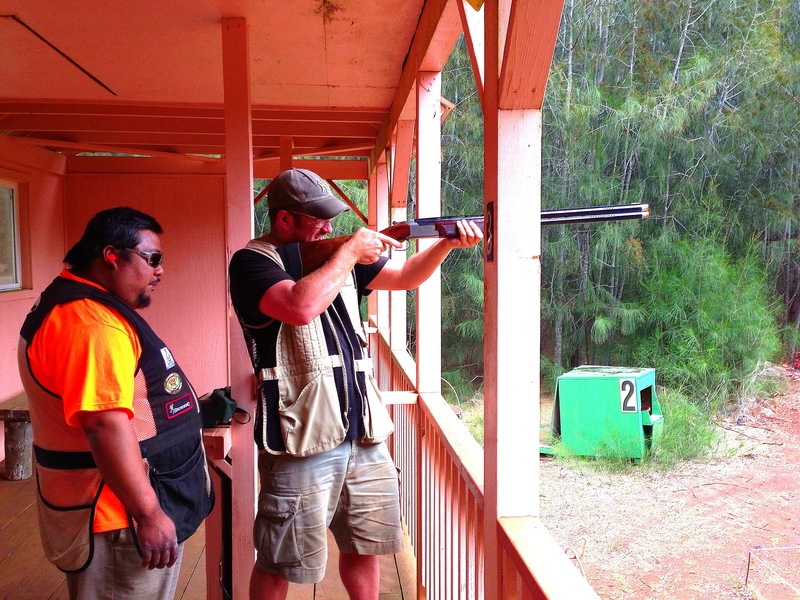 This course is up in the hills and mountains of Lanai. It’s the only other real course to play golf in Lanai and it is also very nice. 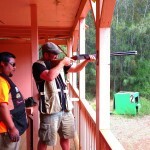 I can’t help but be a little less enthused about the Experience at Koele because the weather wasn’t very good when I played. As I said, it is up in the mountains and it rains quite a bit up by the lodge. So while the course is beautiful and very tough, it was less appealing to me because it was cold and rainy. That said, it had some great holes including the signature 17th; which has a great view as you can see above. However, I must also say that the Four Seasons Lodge at Koele also has an 18-hole putt-putt course on its grounds, which I found to be really fun! 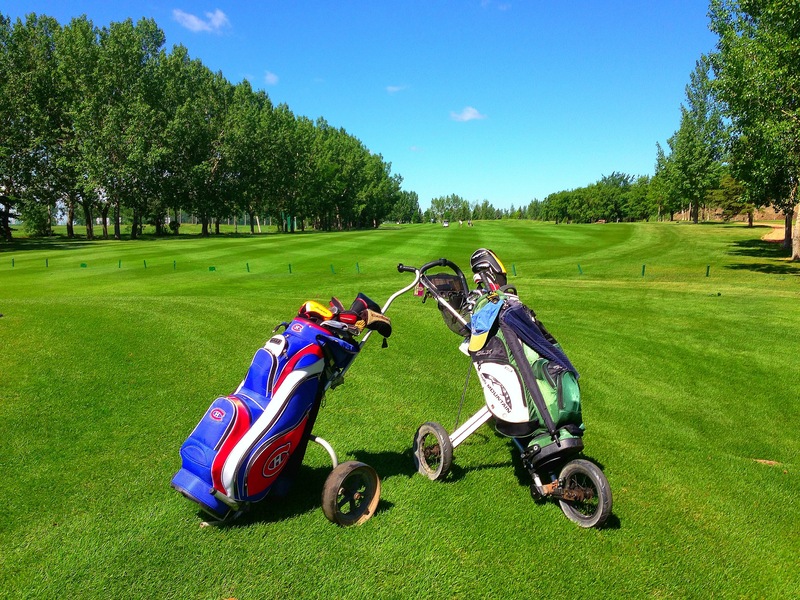 There is also a municipal course right next to the lodge where locals can play for realistic prices. I am 99% sure it’s a 9-hole course and I did not play it. So golf in Lanai is alive and well. 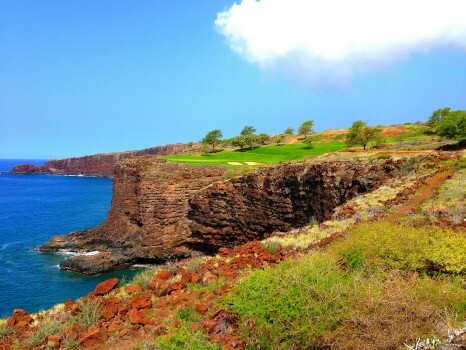 Lanai should be on golfers radar when it comes to Hawaii. If you’ve read some of my other Lanai posts then you know how much I loved it and the golf courses, especially Manele Bay, were phenomenal. 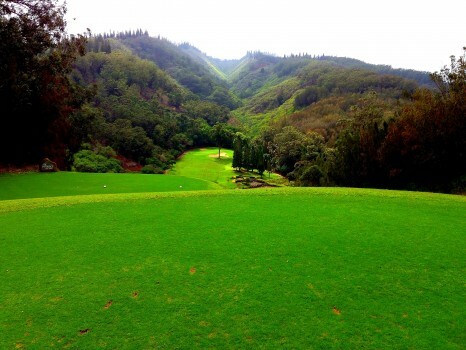 Disclaimer: I was hosted by the two Four Seasons properties in Lanai and played each course for free. The opinions expressed are purely mine and were not influenced in any way. 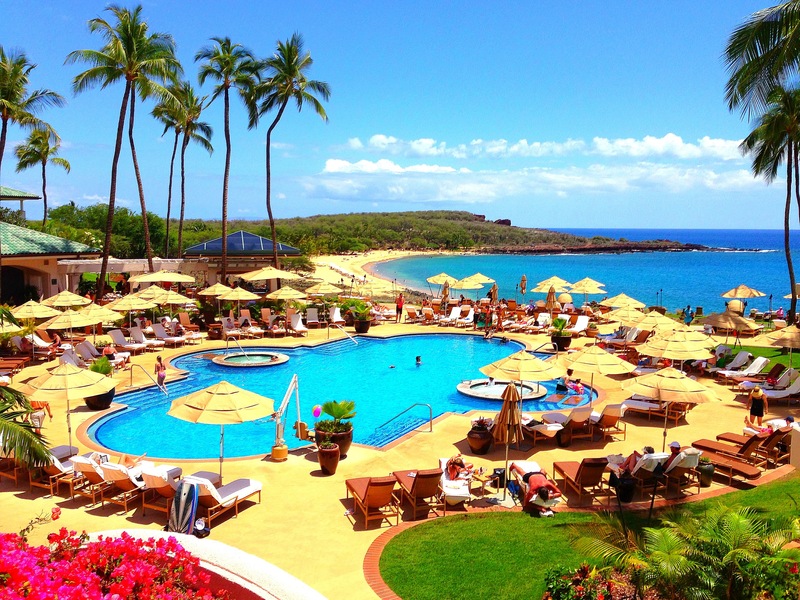 Four Seasons Manele Bay is my all time favorite hotel. I’ve been twice and cannot wait to go back. I read your other story on the hotels and it made me want to qui my job and just go there now! These pictures look incredible, that beach course is out of this world. Did Gates really get married there? That’s what I was told! I’ve never even heard of Lanai but I think I’ve found our next Hawaiian destination. We usually just go to Oahu and I’m kind of over it. 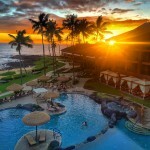 Have you been to Maui too? 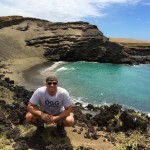 Ya get off of Oahu for sure and yes Maui is great as well! Bill Gates married on the championship tee.